TO DEVELOPING THE ADRENAL BIKE. 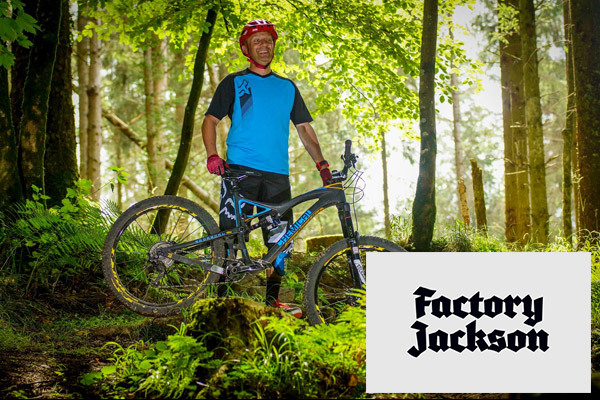 THROUGH THE DEVELOPMENT PROCESS WE HAVE TESTED, REFINED AND TESTED AGAIN TO ACHIEVE OUR GOALS IN DELIVERING A BIKE THAT CAN WITHSTAND ANY TRAIL OR ENDURO STAGE. WE HAVE WORKED CLOSELY WITH OUR TEAMS IN CHINA AND TAIWAN TO REFINE THIS GREAT FRAME AND BRING IT UP TO FULL RACE SPECIFICATION. We use one of the best carbon bike manufacturers. These manufacturers have proven their quality time and time again with a number of well-known bike companies around the world. We work well together as we have the same ethos when it comes to producing something high quality and performance focused. Once the factory has completed the quality tests, checks and finishing touches the frame goes on to our quality control house for approval. Having met the high standard required it is then sent over to Taiwan. We have a research and development team in Taiwan who specialise in knowing everything about our bikes and the bicycle industry. Why Taiwan? Well, our factory is based a couple of hours from the SRAM, Shimano and Funn factories. This means our R&D team has their finger on the pulse when it comes to the latest technology developments – no one is waiting around for the ‘press release’. Once it has passed all the checks and quality control with our R&D team it is sent to us in the UK. Here we will go through our final checks making sure every graphic and bolt is up to the CHEMICAL standard. 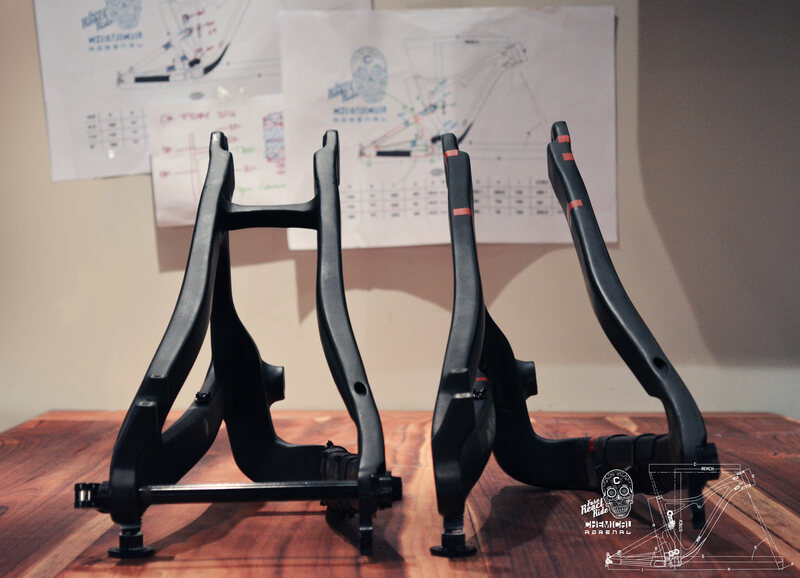 Over the course of development we have upgraded the quality of our bearings, linkage bolts, tested and changed the weave of carbon, changed the layup pattern of the carbon and redesigned the rear triangle completely to be much more rigid when pushed hard. We also increased tyre clearance to keep the wheels running smoothly when riding in muddy conditions and fit with a 2.4 tyre. We knew our bikes would be ridden and raced, they needed to be highly durable so we left no corners unexplored or unquestioned. Our linkage protection is a flag in the ground for our development process. 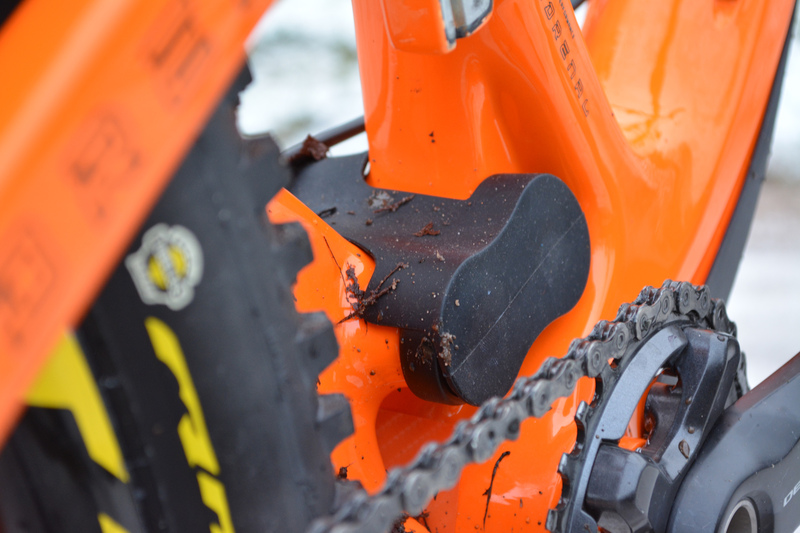 Testing in the UK provided us with a great insight into how the bike performs in muddy conditions. These muddy conditions prompted us to develop a unique protection for the lower linkage and bearings. This needed to be very light but durable and strong, flexible and able to work with the linkage movement, easy to remove and clean but secure enough to not move around or come loose. The lower linkage guard we developed works perfectly in protecting the linkage from unwanted mud, stones and water damage. The elements will have much less of an effect and keep things running smoother for longer. Worry free all weather riding. Maintenance of this area of the bike is still key. It is important that you remove the linkage guard and wipe it clean. As with all your linkage bearings, it is also important to keep them well greased, never let them run dry or jet wash them without replacing the grease afterward. The quality of carbon fibre used on a bike is as important as the layup process. We use 3D carbon moulds and EPS technology to produce our frames, it allows for an accurate layup process that is consistent. 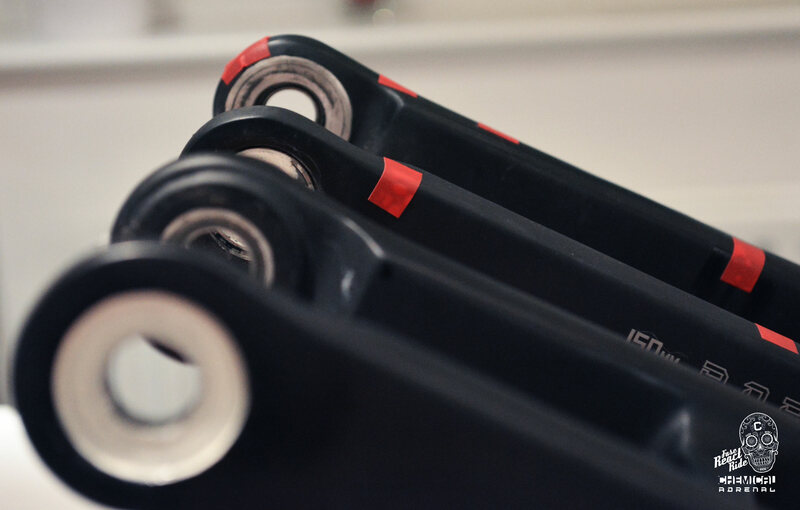 The process is expensive but because it is so thorough it has been worth the investment for the confidence it provides to us and our customers in the quality of our bikes. Mountain biking isn’t just a sport, it’s a thrill, it is full of emotion and that should be reflected in the bike that you ride.